This place is so much fun, they put fun its name twice! Your kids can pick from miniature golf, batting cages, go-karts, a bungee trampoline, bumper boats, spider mountain, a rock wall and a whole lot more. One thing is for sure; after a day at this park, they’re going to fall asleep fast. The Museum of Innovation and Science or miSci offers a wonderful opportunity for your kids to explore science and technology from the past and for the future. It’s all about hands-on interactive fun that includes a planetarium and the famed traveling Exploratorium. Do your kids enjoy bouncing on a trampoline? Then they’re going to love bouncing on 15,000 square feet of trampolines. This is an awesome place to spend a few hours or to throw a birthday party. Lots of bouncing! This is the largest zoo in upstate New York with over 500 animals roaming the acres. It’s the only official safari destination in the Northeast and it’s just an hour’s drive from Albany. When you go, be sure to feed the giraffes. They’re always hungry. If your family prefers their creatures to be from under the see, then the Via Aquarium is the place to be. There are around 25,000 square feet of oceanic treasures to marvel at on a self-guiding tour. Cool way to spend a day. You will probably have a lot more fun on your spring break adventure when you finish up the tasks around the house. 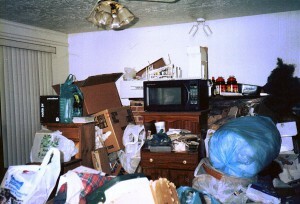 If getting rid of junk is on that list, then a call to Junk King Albany will take care of that fast. The crew who will be assigned to your appointment will move swiftly through your home to safely remove any item, regardless of weight or size. Start your spring break off with a junk pickup from Junk King Albany. This entry was posted in Albany Junk Removal and tagged clutter, Junk King, Spring break on March 31, 2018 by Junk King. Last updated March 31, 2018 . Nothing scares a car salesperson more than a customer who is armed with information. Between Auto Trader, Consumer Reports, Kelley Blue Book and Edmunds, you’ll have a lot of resources that are just a few mouse clicks away. Armed with your research, you’ll know exactly what the car you’re buying is worth and how much room you have to negotiate. The harsh reality is that car dealerships don’t make a lot of money on a car sale. Where they do make their money is with financing. They’ll be able to charge a higher interest rate than you might get at a credit union or your bank. That means you could end up paying several thousand dollars more for the car you think you’re getting a bargain on. Yes, your payments might be manageable but you’ll be paying them for a long time. That is why you should look into pre-financing options before you go into the showroom. You can be approved for a certain amount and final payments will be based on how much you put down and/or trade-in. Shopping for a car can be a time consuming affair but that is to your advantage. You shouldn’t focus on just one dealership. Instead, go to at least three. Take photos, make notes and compare. Not only will you get a feel for the best car but also the best deal. The more powerful tool you have is the ability to walk away. Once you’re ready to sign on the dotted line, you could be driving home with a new car. That means you’ll want a safe place to park it. 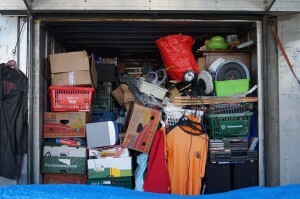 Yes, it is time to clean out the clutter from your garage. Don’t worry. This is actually easy when you give the task to Junk King Albany. They’ll be able to back their truck right up to your garage door. Then you just point to the rubbish you want gone and watch it disappear. Let Junk King Albany help get your garage ready for your new car today. This entry was posted in Albany Junk Removal and tagged garage, Junk King, junk removal, new car on March 23, 2018 by Junk King. Last updated March 23, 2018 .